Have you ever had a spiritual calling? Have you ever wondered what life would be like to follow these inner callings? Where would it take you? What would you become? It wasn’t until I moved from my life-long home of Northern California that I can say that, yes, I know what it is like to walk away from EVERYTHING- stuff, family, friends, familiarity and comfort to follow a higher calling. Stephen and I moved to Western Washington merely based on intuition and a spiritual whim. From here, amazing worlds were explored and an unexpected journey was launched. We were living in Santa Rosa, CA, in Sonoma County. We had taken a road trip out to Northern Arizona, thinking this area may be a good place to relocate. Immediately upon arriving, I had an adverse reaction to the area, in fact I felt energetically repelled by it. We spent a day in Prescott, a day in Sedona and then drove up to the Grand Canyon (…which I loved. More on the magic of the Grand Canyon in future posts). I loved seeing all these areas. I was intrigued. I was enchanted. And, I fell in love with the strong Native American spirit, but I was not called to stay and live. One morning, Stephen and I were having breakfast together in a small town just outside of Sedona called Cottonwood. It was here I asked Stephen for one of his famous psychic readings. (I was too emotionally attached to the outcome to read for myself.) I asked him to give me a reading about what the best living environment would be for me at the time. I still have this reading, which I jotted down on a napkin. He said I would be surrounded by trees, water and lush, rich earth that would grow anything. There would be vegetable gardens and fruit trees, wild life and open wilderness. It was during this reading over breakfast in a small desert town that Stephen and I decided to move to Bellingham, WA, sight unseen. This was a rash decision based solely on intuition, prompted by a simple and playful reading, but everything about this decision felt right. It was a tremendous spiritual calling, though I didn’t realize it at the time. By the very next month, our belongings were packed and we were driving into Bellingham, WA, which is located just a half hour south of the Canadian border and British Columbia. Ever wonder if you are headed in the right direction? Doors will open. These doors didn’t just open for us there, they swung WIDE open. When we entered Bellingham, we had one week to find a home. It was the very second placed we viewed to rent that we found one of the most beautiful homes I had ever lived in. We rented it on the spot. This was our home- a gorgeous old, single family, Victorian house that had been converted into 5 charming apartments. 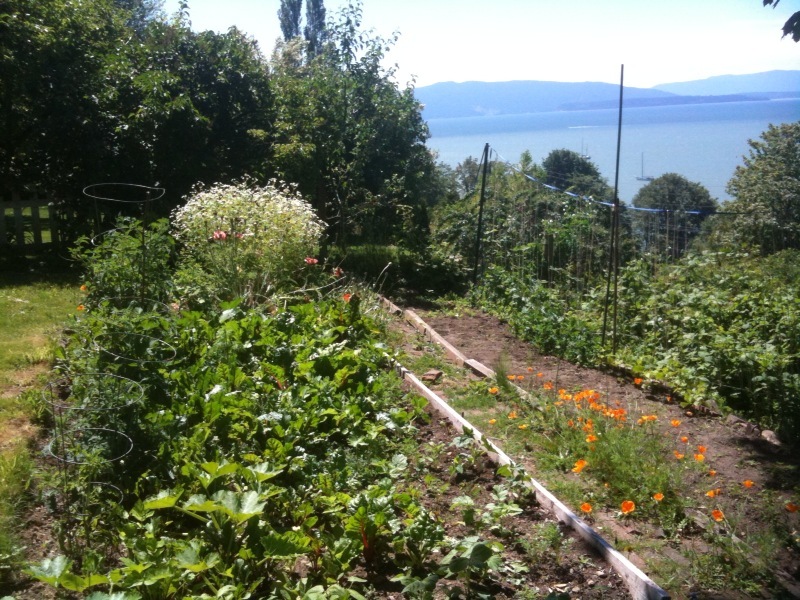 It had a vegetable garden and incredible bayside, sunset views. We rented the largest of the apartments on the main floor, which allotted me my own healing space for my Reiki practice and a private meditation room. This home called us to it for many reasons. We were supposed to live here. It was here that more magic came into my life than I could possibly explain. It was here I experienced so many spiritual shifts and growths, darkness yet brilliance, and dove into higher realms, experiencing firsthand the world of the elementals. Yes, we had resident Beings, nature spirits, who shared space with us in the garden and in our home. I could see them, and they did all kinds of tricky and fun things around the house. (More on this in future blog posts and articles) Stephen and I taught Reiki classes together, and I gave energy healings out of this home. We only lived here for a year and a half, but the mind-bending things that occurred and the spiritual leaps were life changing to say the least. Being energy workers, both Stephen and I are intensely aware of subtle energies. The energy of the house, of the city of Bellingham, and of our neighbors shifted. The time to leave was near. We felt it. This was a gentle shift, but the universe was easing us into other opportunities. When the day came that our landlord informed me that he wanted to move his family into our space, I was already expecting this change. And, I was grateful for it. At the time, we considered moving to Arizona. After a year and a half of darkness, I ached for sunnier landscapes. We also considered moving back to California, but I intuitively knew it was not yet time to return, though I was homesick. Instead, we decided to move an hour and a half south to Seattle. I had friends, raw potlucks, raw vegan restaurants a-plenty, and lots of things to do there. I missed being in a bigger, more metropolitan and cultural city that offered a plethora of activities to choose from. 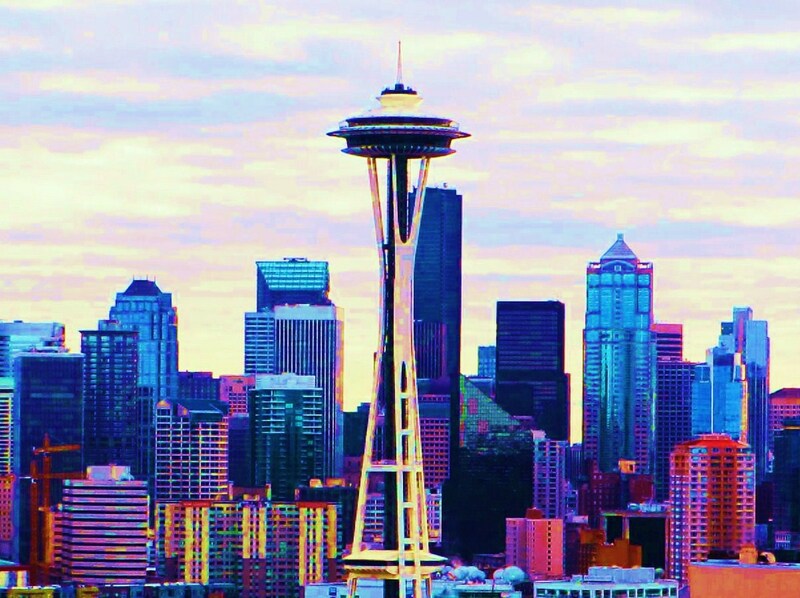 We moved to Lower Queen Anne just 2 blocks away from the Seattle Space Needle, smack dab in the heart of the city. Our apartment was built at the turn of the century. It was an old brick, four story building. It had no elevator but it did have a couple of resident ghosts, one of which lived in our unit. We were, of course, on the top floor and the laundry room was, of course, in the basement. Parking was a space we rented a block away. Needless to say, there was a lot of schlepping going on, schlepping laundry and groceries up and down streets and endless flights of stairs. This was quintessential city living. The romance of this lifestyle withered away very quickly for me. I didn’t mind the physical requirements of it, but I did mind the grey. Seattle is a grey place with eight months of rainfall. Our apartment faced east, so gone were our glorious sunsets and the glowing, crimson sweetness that cracked the cloudy horizon at the end of each day. My world in the city became drab. The surrounding buildings, asphalt, skies, and concrete- everything around me was one note. I desperately missed living in the forest and among my faery-luscious, GREEN trees. 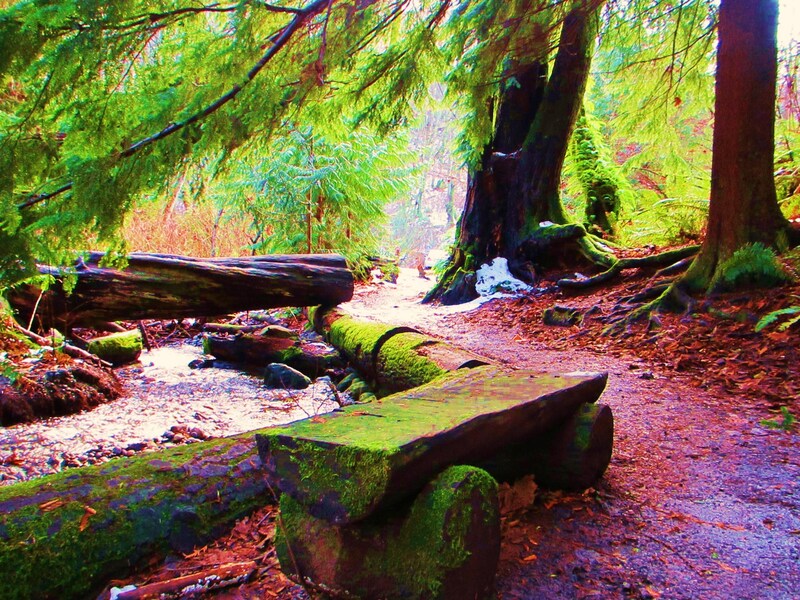 There were wonderful mossy, forested parks in Seattle, which I loved to hike and meditate in, but my actual city living environment and view… as my crime-writing sister would call it… it was all gun-metal grey. Six months into our city living, we had the opportunity to shorten our lease, which gave me a new lease on life and new possibilities. I would like to add that Seattle is a very magical place, and I do not wish to down-play this. I did have some very amazing experiences there. I still love to visit and a part of my heart and spirit will always be in Western Washington along with some family and many great friends. But, one lesson I definitely learned during my time there is that I need to live in more natural, wild settings. I thrive in nature! It was time to move. In retrospect, I feel we placed ourselves in this environment, all of it from the city to the old apartment, so we would be more inclined to leave Washington. You see, I was in love with the magic of the forests, the waters and the islands around this area. However, I had spiritually learned what I needed and it was time to go. If my living environment wasn’t a struggle, it would have been easy to remain complacent and stay longer than I should have. This was an important lesson. It was a lesson about seeing the gifts in the challenges, about non-attachment, about letting go, about embracing forward movement and about taking giant leaps of faith. Signs are everywhere. Subtle energies are always at work around you. The question is, do you stop to listen? Do you scream out, “Why Me?” in the face of hardship or do you take a look at the bigger perspective, the bigger picture? We are each exactly where we need to be. If you are in an undesirable place, your pain and discomfort are signs to reevaluate life direction and will influence change, especially if you have the gumption to listen and to follow your heart, your gut and the messages around you. It was time to go. To where, we did not exactly know. California? Arizona? Um, Universe, could you please be more specific, gee-wilikers! It was decided that morning that we were going to Arizona. 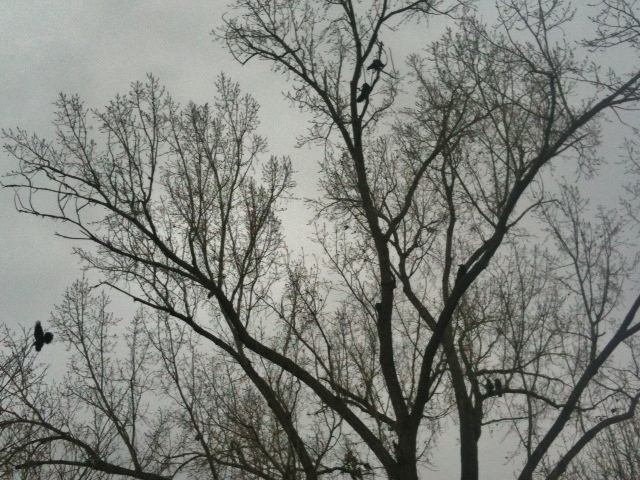 Upon making this decision, I remember looking out the window and saw 12 crows perched on a bare-branched, winter tree. Being that Crow is my main Animal Spirit Totem, this very much felt like an acknowledgement and blessing of our new direction. 12 is also the number of perfect, harmonious completion. 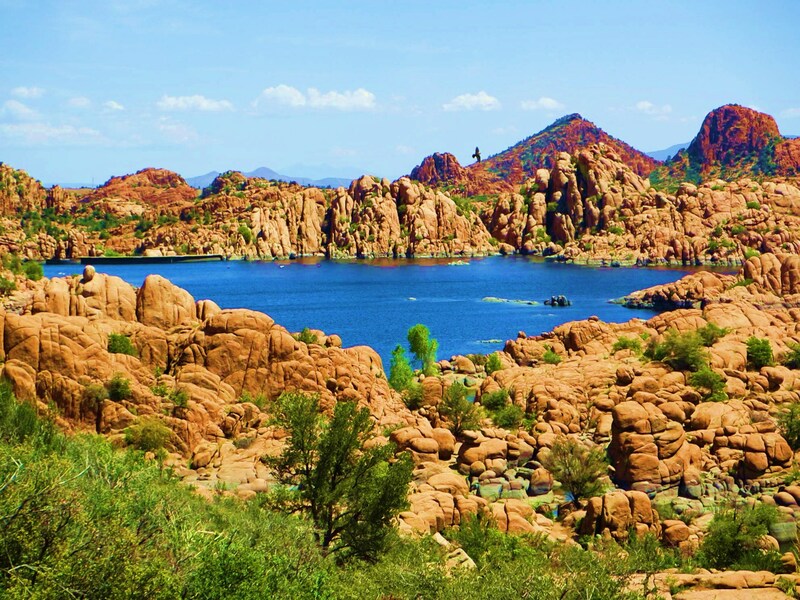 We were lucky enough to have an opportunity open for us to stay in Prescott, AZ, for 2 months. Another sign we were on the right path, everything immediately opened right up for us. Within one day, we not only decided to leave Washington but we secured our next location out of state and gave our landlord notice. The day started with an oracle card reading and ended with plans to start packing. Both Stephen and I work from home with his life coaching practice and my distance healing work, so we can be very mobile and live anywhere. We started to pack, but the month it took us to organize the move was a very topsy-turvy time. Despite the oracle card reading, I decided that I wanted to move to California. I went as far as to tell all my friends and family I was returning. I researched storage units and ordered the moving truck. The plan was to drive to California, place all our things in storage, then drive on to Arizona to stay in the home that was available for 2 months. 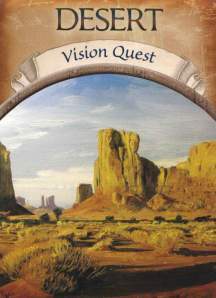 We would have our vision quests and anything else that may open for us. After the 2 months, we would then return to California to live. This was the plan… or so I thought. There’s a little saying that goes something like this: There are plans, but then there is life. And my life path had another direction and purpose. While packing our apartment, I was in the bathroom. The overhead cupboard door was open. I was bent down, filling boxes. Can you guess what happened? I swung my head up as I stood and cracked my forehead on the corner of the solid wood cupboard door. This was a severe injury that left an indent on my forehead as a purple lump immediately formed. I had a concussion. Head injuries are interesting things both physically and spiritually. The concussion affected my eyesight, my ability to focus and my ability to continue packing. I sat down for several days to rest, forcing me to pause and evaluate our movements. I take nothing for granite. I know injuries and sicknesses are significant signs, often depicting that one is moving in the wrong direction. It was during this introspective time, sitting in a torn-apart apartment, surrounded by boxes and chaos that Stephen and I decided to take a leap of faith, cancel our California storage, redirect the moving truck destination, and move directly to Arizona instead of California. This was the correct and intended path. Both Stephen and I collectively felt a very strong calling. We were each spiritually drawn to Arizona for more than just a 2 month stay. We originally thought we would move to Sedona, especially with the spiritual, metaphysical and healing work that we do. With this in mind, we stored our things in that little town just outside of Sedona, Cottonwood (and so we came full circle, returning to Cottonwood). We stayed in Prescott for those 2 months, allowing us to catch our breath after the move and to enjoy our new surroundings. It was here that I read, meditated, hiked, photographed, sun-soaked and visited Sedona. The distance from Prescott to Sedona is similar to the distance from where I lived in Sonoma County, CA, to San Francisco. It is a little over an hour away. This is an easy drive from one magical place to another. I love Sedona like no other place, but a very surprising thing happened; I fell in love with Prescott. So, we stayed and found a permanent home for ourselves. We are here now in Prescott. There is so much I could share about the powerful lands around us and our time here, but I’ll save this all for future blog posts. Just know the magic and spiritual nudges continue… in my life and with my healing practice. Timing really is everything. Years ago when we first visited Prescott to consider living, we were energetically pushed away. The timing wasn’t then right. We needed to be in Western Washington, both of us, for the time that we were. And, we left Washington at the absolute perfect time. Stephen accomplished exactly what he needed to, and I experienced one of the most cathartic spiritual experiences of my life while there. It was like a spiritual schooling of sorts. It was something that couldn’t have taken place in any other location. I needed the separation, the darkness, the rain, the forests and the magic to support my spiritual shift and growth. Plus, life-long friendships were found. Thank you Western Washington for your darkness, beauty and woodland magic. Thank you Stephen for your flexibility, spontaneity, out-of-the-box thinking, your gypsy spirit and for your unyielding, compassionate support. And, thank you Northern Arizona for being exactly where I am supposed to be right now.